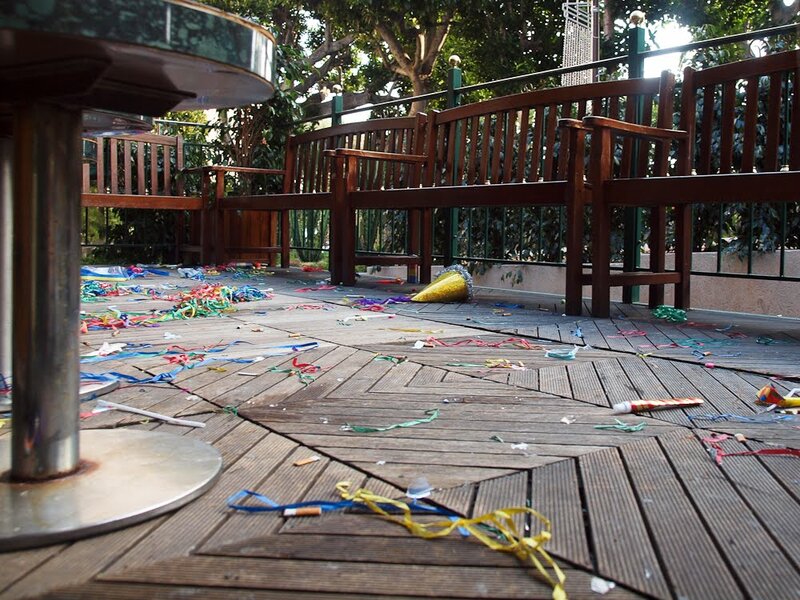 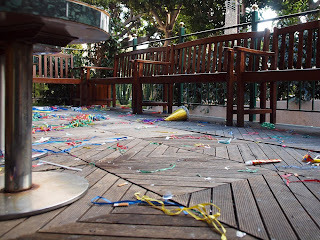 The small courtyard of The Living Room - a piano bar/night club in Avenue des Spélugues - the morning after New Year's Eve. It must have been a good night! 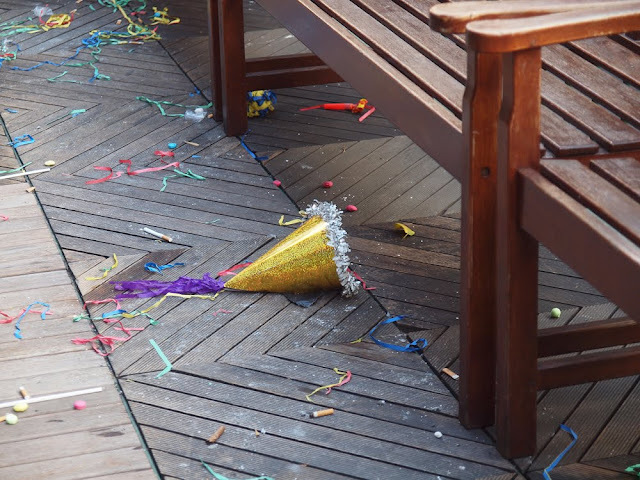 Remnants of a good time!